and review. A valuable text that students will want to keep as practitioners. administrative rules. A new chapter on “summary of the law” memoranda to teach students how to draft a document increasingly being used in modern law practice to answer the question “what is the law on . . .” or when a full analysis of a legal issue is not needed. New emphasis on objective writing as the foundation for in-house memoranda and client communications. New emphasis on guidelines for the use of email for legal memoranda and client correspondence, including the determination of whether email is the appropriate medium and strategies for effective communication. Unparalleled number of examples and exercises, including numerous examples of good and bad writing appear throughout. Clear explanations detail the advantages and disadvantages of each. Unique coverage of the shorter “summary of the law” memo that lawyers are frequently asked to write under a variety of circumstances. when a full analysis of a legal issue is not appropriate. Adaptable to a wide range of teaching styles and preferences. * Used books sold by retailers may not include free access to CasebookConnect. The Connected Casebook rental program is available exclusively from BarristerBooks. Catherine Wasson comes to Elon University after working for the past decade at Widener University School of Law in Harrisburg, Pa., most recently as an associate professor and director of the Legal Methods Program. As director, Wasson overhauled and expanded a program covering skills such as legal reasoning, writing, research and advocacy. Her teaching expertise is in legal writing and analysis, oral advocacy, torts and family law. Prior to Widener, Wasson worked as a staff attorney for the Minnesota Workers’ Compensation Court of Appeals, monitoring legislation and rules affecting workers’ compensation law and practice. 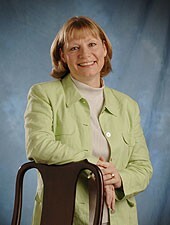 Wasson earned her law degree in 1988 from William Mitchell College of Law. She graduated from Kent State University with a bachelor’s degree in English/theater arts and a master’s degree in speech/theater arts. Joan Ruhtenberg is an honors graduate of Indiana University School of Law - Indianapolis, where she was an articles editor of the Indiana Law Review. She has served as a clerk-intern for the Honorable James E. Noland, United States District Judge for the Southern District of Indiana, and for the Honorable Webster L. Brewer of Marion County, Indiana, Superior Court. Professor Ruhtenberg joined the faculty in 1980 and teaches legal analysis, research and communication. She is the co-author of the second edition of A Practical Guide to Legal Writing & Legal Method. Wharton develops teaching materials for the first-year legal writing program and teaches one section of the first-year legal writing course. She is also responsible for administrative duties, selection of texts, supervision of other writing teachers and coordination of computerized research training for first-year students. 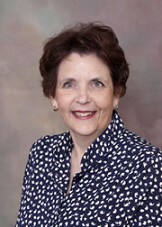 She has served as an adjunct faculty member for the Institute of Continuing Judicial Education (ICJE) since 1989, developing and leading numerous seminars on legal writing or legal research for Georgia's judges and courtroom administrators. In 1993 she was honored with ICJE's Award for Continuing Service to Judicial Excellence. She taught legal research and legal writing in the evening paralegal studies program at Athens Area Technical Institute from 1986 to 1990. Wharton also served as a consultant with the Athens law firm Cook, Noell, Tolley & Aldridge from 1983 to 1990, assisting the managing partner in preparing civil cases for trial and appeal. Wharton is a member of the Association of Legal Writing Directors, the Legal Writing Institute and the American Association of Law Schools (AALS) Section on Legal Writing and Research. Wharton earned both her bachelor's degree in journalism and her law degree from the University of Georgia. John C. Dernbach's research concentrates on environmental law, climate change, and sustainable development. He has served as director of the policy office at the Pennsylvania Department of Environmental Protection. The Policy Office is responsible for developing and coordinating policy and regulatory initiatives for DEP, including the integration of sustainable development concepts into DEP programs. Immediately following graduation from Michigan Law School, Professor Dernbach taught legal writing at Wayne State University (1978-79), served as a staff attorney to the American Lung Association of Michigan (1979-80), and coauthored a widely-used and influential legal writing text, A Practical Guide to Legal Writing and Legal Method (Aspen, 3rd edition 2007). Over the next dozen years, Professor Dernbach worked on the development and implementation of nationally recognized programs for regulating coal and noncoal mining, municipal solid waste, and residual or industrial solid waste for the Pennsylvania Department of Environmental Resources. During this time he served as assistant counsel (1981-87), special assistant (1987-92), and Director of the Department's Advanced Science and Research Team (1992-93). He is admitted to practice in Pennsylvania. Professor Dernbach has written widely on environmental law and sustainable development. He is the editor of Agenda for a Sustainable America (Environmental Law Institute Press, January 2009) and Stumbling Toward Sustainability (Environmental Law Institute Press 2002), comprehensive assessments of U.S. sustainable development activities that include recommendations for future efforts. The books each have more than 40 contributing authors from universities and law schools, nongovernmental organizations, the private sector, and state government. Professor Dernbach has written more than thirty articles for law reviews and peer-reviewed journals, and has authored, coauthored, or contributed chapters to eleven books. He has lectured to local, state, national, and international audiences on environmental law, climate change, and sustainable development. He received the President's Award for Outstanding Achievement from the University of Wisconsin-Eau Claire Alumni Association in 2002. In 2008, he received the Douglas E. Ray Excellence in Faculty Scholarship Award, and was also named one of three distinguished law professors at Widener University. 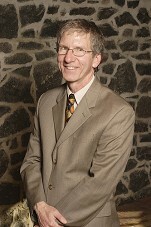 On April 22, 2010, he received an award for distinguished service to the profession from the Pennsylvania Bar Association’s Environmental and Energy Law Section. 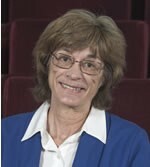 Professor Dernbach is a council member for the ABA Section on Environment, Energy, and Resources. He is former chair and a current vice-chair of the ABA Committee on Climate Change, Sustainable Development, and Ecosystems, and Climate Change. He is also a member of the IUCN Commission on Environmental Law. From 2005 to 2008, he served on the Roundtable on Science and Technology for Sustainability of the National Academy of Sciences. He is former Senior Warden and co-chair of the environmental stewardship committee at St. Stephen's Episcopal Cathedral in Harrisburg. Richard Singleton concentrates his practices in the areas of commercial law, litigation, and arbitration with particular emphasis on the maritime industry. He has over 20 years’ experience counseling clients, both domestic and international, in areas such as: maritime casualties such as collisions, groundings, fires, and sinkings, as well as damage to undersea electric cables and pipelines, tug and tow, charterparty and bill of lading issues and disputes, maritime environmental law, U.S. Coast Guard and other governmental maritime investigations, insurance and reinsurance, and general commercial disputes, including litigation and arbitration. Mr. Singleton is recognized as being among the leaders of attorneys worldwide in shipping and maritime law by Who's Who Legal. He has received the highest possible rating from Martindale-Hubbell.